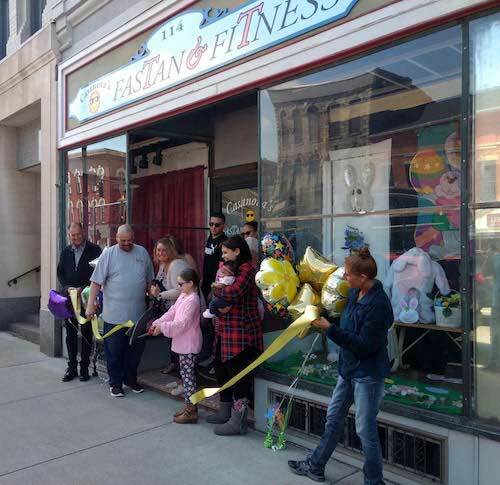 ALBION – Ashley Casanova and her family celebrated the opening of Casanova’s FasTan and FiTness with a ribbon-cutting on Saturday afternoon at 114 North Main St.
Ashley Casanova opened the business in Albion on March 1. Casanova’s FasTan and FiTness includes tanning and exercise equipment for a women-only gym. 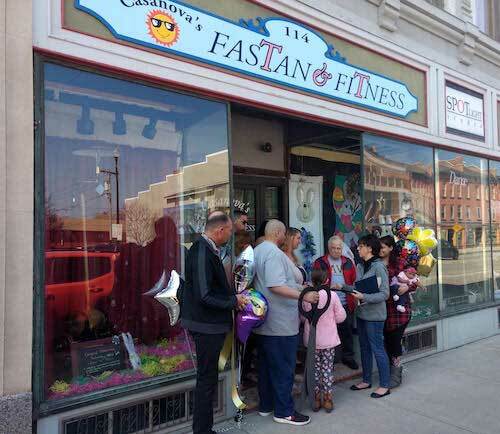 Casanova, a Lyndonville resident, also owns the FasTan in Medina at 627 West Ave.
Albion Mayor Eileen Banker and Trustee Stan Farone attended the event and shared their congratulations on behalf of the village. Banker, chief of staff for Assemblyman Steve Hawley, also shared appreciation from Hawley for the new investment in downtown Albion.